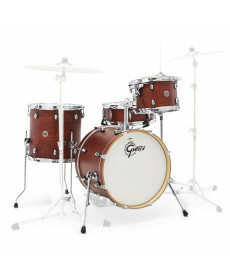 Bateria Acústica Gretsch Catalina Club Jazz Satin Wallnut. Material: 7 camadas Mahogany. Aros: Bearing Edge: 30º. Tensores: Catalina Mini Lugs. 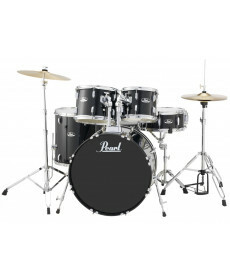 Conteúdo: Bombo 18" x 14"; Tarola 14" x 5,5"; Timbalões suspenso 12" x 8"; Timbalão de chão de 14" x 14"; Suporte de timbalão GS1-THSL. Cor: Satin Walnut Glaze. 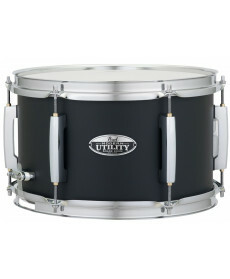 Tarola Pearl Modern Utility 12x7 Black Ice. Material: 7 camadas Mahogany. Aros: Bearing Edge: 30º. Tensores: Catalina Mini Lugs. 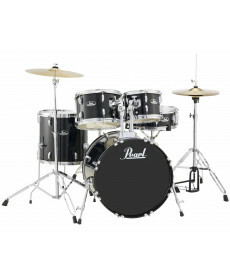 Conteúdo: Bombo 18" x 14"; Tarola 14" x 5,5"; Timbalões suspenso 12" x 8"; Timbalão de chão de 14" x 14"; Suporte de timbalão GS1-THSL. Cor: Black Ice. 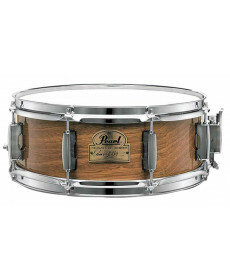 Fusing reliability and flexibility for today’s demanding gigging environment, Pearl has developed Modern Utility: a line of no-nonsense, well-appointed snare drums priced with the active working player in mind. 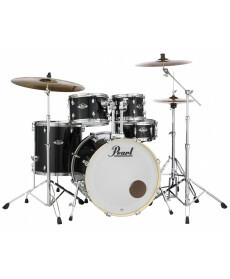 Bateria Acústica Pearl EXX705NBR/C Export Jet Black. Material: 7 camadas Mahogany. Aros: Bearing Edge: 30º. Tensores: Catalina Mini Lugs. Conteúdo: Pedal bombo com corrente dupla; Suporte prato choque; Suporte prato livre; Banco; Prato choque 14" e prato crash/ride 16"; Baquetas; Saco baquetas. Cor: Jet Black. The Export has undergone an upgrade, with a Bass Drum mini muffler and a Remo Coated White Ported Bass Drum head. Both make your Export set ready to rock on stage or in a studio! 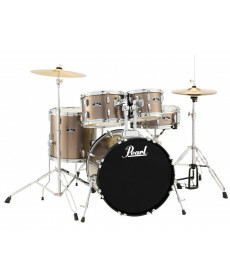 Bateria Acústica Pearl EXX705NBR/C Export Smokey Chrome. Material: 7 camadas Mahogany. Aros: Bearing Edge: 30º. Tensores: Catalina Mini Lugs. Conteúdo: Pedal bombo com corrente dupla; Suporte prato choque; Suporte prato livre; Banco; Prato choque 14" e prato crash/ride 16"; Baquetas; Saco baquetas. Cor: Smokey Chrome. The Export has undergone an upgrade, with a Bass Drum mini muffler and a Remo Coated White Ported Bass Drum head. Both make your Export set ready to rock on stage or in a studio! 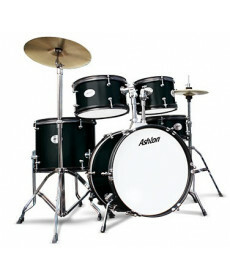 Bateria Acústica Ashton JOEY JUNIOR BK. Material: 7 camadas Mahogany. Aros: Bearing Edge: 30º. Tensores: Catalina Mini Lugs. Conteúdo: Pedal bombo com corrente dupla; Suporte prato choque; Suporte prato livre; Banco; Prato choque 14" e prato crash/ride 16"; Baquetas; Saco baquetas. Cor: Smokey Chrome. 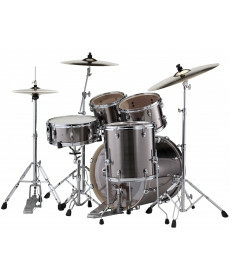 Bateria Acústica com hardware Yamaha Stage Custom Birch Studio c/ hardware Pure White. Material: 7 camadas Mahogany. Aros: Bearing Edge: 30º. Tensores: Catalina Mini Lugs. Conteúdo: Suporte timbalões ao bombo Yamaha TH945B; Chave bateria; Manual de montagem; Kit Hardware HW780. Cor: Pure White. Bateria com bombo 20"×17", timbalões suspensos 12"×8" e 10"×7", timbalão chão 14"×13" e tarola 14"×5 1/2". Inclui kit hardware HW870 com 2 suporte prato livre girafa	CS755, suporte prato choque HS740A, pedal bombo FP7210A e suporte de tarola SS740A. 6 camadas em birch, sistema suspensão timbalões YESS, suporte de timbalão com rótula em resina para ajuste do posicionamento e afinação rápido das peles de ressonância dos timbalões, lugs de bombo forrados com borracha nas zonas de contacto com aro e pernas de bombo com memória. Aros Triple Flange Hoop em aço com 1,5mm. Peles Remo. Não inclui pratos. Tarola Pearl Omar Hakim OH1350. Diâmetro: 165. Material: 6 camadas de mogno filipino. Aros: SuperHoop II. Tensores: 8 Lugs duplos Pearl CL55. Bordão: Pearl S029N. Strainer: Pearl SR015. 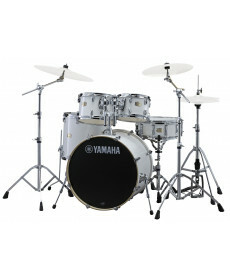 Conteúdo: Suporte timbalões ao bombo Yamaha TH945B; Chave bateria; Manual de montagem; Kit Hardware HW780. Modelo de Assinatura de 1173. Cor: Natural Mahogany.